Good morning everyone! And have a great weekend! Here's Miyu with our breakfast, an Opera cake from Ichiban boshi! As you'd have already noticed, we also changed her hairstyle again back to her old fur wig. I think we are all resigned to the fact that she'll never get her proper wig. And it's not noticeable in the photo, but the little girl also got a pair of new shoes. They are a little big for her but I think the effect is rather adorable! ... Back to the blog? Dolly life, works and more! of the dolls and stuff! Follow us on Twitter @cafegalileo! 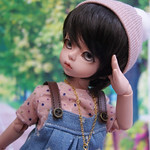 Galileo may be an amateur, but her doll photography are NOT stock images nor are they "free-for-all", neither are her doll artworks, story and characters, so please do NOT use, edit or redistribute them without permission. More info here. Copyright © 2016 Café Galileo. All Rights Reserved. Layout by hyo_wings, modified by Café Galileo. First thing first, for those not in the know, the 'dolls' that are the subject of the photography in this blog are known as Asian Ball-Jointed Dolls, or ABJDs for short. 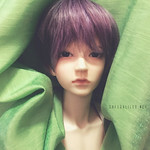 If you are keen to know more, you can find loads of information about these dolls on Den of Angels, a BJD forum, including a list of BJD companies where you can get these dolls. 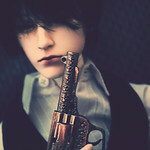 The dolls featured in the photographs here belong to Galileo (that is, me). Galileo do not claim to make these dolls; she is just one of the many owners of these wonderful dolls. However, she customizes and personalizes the doll herself and the persona that they are created to represent are those of her original characters, unless otherwise stated (e.g. cosplay). 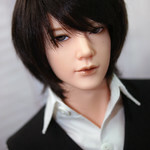 So yes, ABJDs are highly customizable dolls and are usually personified by the owner. They are not "mere mass-produced toys" but collectibles that are "works of art". 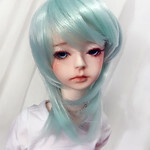 You can do a lot with a BJD and this include artistic pursuits like photography, story writing, painting and customization, modification, outfit-making and so, so, so on. In fact, they are like an outlet for creativity spanning across mediums. And oh, they also multiply like jackrabbits. Galileo is just a simple girl who goes by that moniker on Den of Angels. 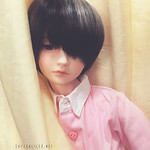 A daydreamer, she got into the BJD hobby in April 2010, when she took the plunge and got her first boy, a Dream of Doll Homme Ivan. Now 6 years on, her doll army, or rather her "harem" as she likes to call them, has since invaded and taken over her room. Galileo also has a sweet tooth and is guilty of spamming her blog and instagram with the occasional random food photos. She is forever broke. 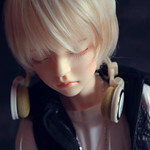 This blog is totally dedicated to BJD, especially Galileo's little ones. 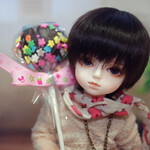 You can catch Galileo spazzing about these beautiful dolls here (lots of owner's bias involved)! 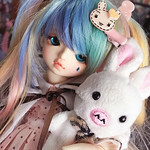 The blog is also a journal about the everyday life of Galileo and her BJD Crew. 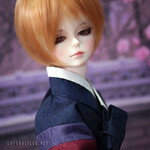 The blog also serves as a humble showcase of Galileo's BJD-related works that include, but is not limited to, doll photography, outfit creations, face-ups, props making and so on. Galileo may also occasionally rant about how expensive everything is and will occasionally shamelessly advertise dolly items for sales to fatten up her dolly fund. Galileo is biased towards (cute) guys, so her dolls are mostly boys with the exception of three little girls. Most of them are original characters except for cosplay dolls (L of Death Note), while some are inspired by real life or fictional drama/manga/game characters (like Takeru is named after Satoh Takeru). They all have their own individual personalities and different background stories, but they are all bonded together by the entity known as Café Galileo. Read more about the background story behind Café Galileo at Project Galileo, as well as the individual profile of each character at the Café Crew! Galileo uses a Sony DSLR, Nikon CoolPix, and an iPhone to take photographs and snapshots of her boys.These photos may or may not be posted on this blog as well as other accounts that belongs to her, which includes (i) blogger (ii) flickr (iii) instagram (iv) twitter (v) tumblr (vi) deviantart (vii) ebay (currently inactive on eBay and DA). She also edit her photos in Photoshop. Although she is still a photography amateur, her boys' photos are NOT stock images nor are they "free-for-all", so please do NOT take, edit or use them without permission. Finally, if you have any questions, feel free to pm Galileo via this blog or DOA. This section will be updated as and when needed. ^^ Thank you. Meet the crew behind Café Galileo~♥ Click on the names to expand or collapse. The mysterious man with many names. A music prodigy with anterograde amnesia. Traits: gentle but can get a little too dreamy. 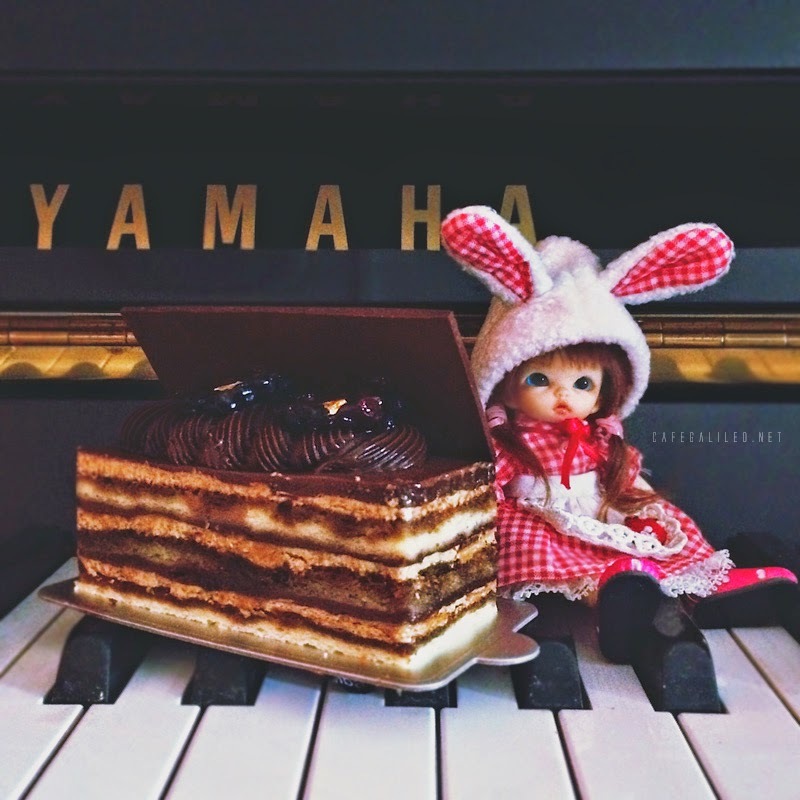 Hobbies: playing the piano, composing music. Masaru's older brother who is a genius scientist. Traits: pragmatic but can be quite witty. Hobbies: solving puzzles, playing the guitar. Just L -- world no. 1 detective. Traits: very perceptive but extremely competitive. A deep thinker who lives in his own world. Traits: doesn't talk much but can be quite manipulative. Hobbies: maths, mind games, video games. A mysterious enigma who goes only by J.D. Trait: collected but sometimes a tad dispassionate. Hobbies: reading, martial arts, ??? Traits: cheeky, but reliable... maybe?? A bit softie when it comes to animals. Traits: kind-hearted but can be a little too docile. A talented artist who frequently hides behind a mask. A charming little guy... but is he really? 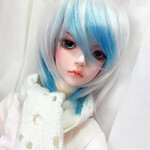 ▼ 【 YŪYA 】 Volks Ayumu 2nd Faceup ver. Supposedly Mr. Sunshine; life of the party. Trait: an extrovert, but a little of a know-all. A happy-go-lucky teddy bear collector. Traits: happy-go-lucky but can be a little shy! A little trickster, one of the "Double Trouble". Trait: fun-loving but too mischievious! Hobbies: playing tricks on his friends. Si Hoo's best friend; other half of "Double Trouble". Traits: genial but easily swayed by Si Hoo. A sweetheart with a (secret?!) angelic voice. Trait: sweet-tempered but can be a little clueless. A diva princess who likes ogling cute guys. Trait: sensitive, can be a little too possessive. Hobbies: a lot but mostly "ikemen appreciation"
A cutie pie with 0 resistance to food. Traits: adorkable, but also a little naive. An old soul (kind of) in a child body. Traits: even-tempered, but a little reserved. Miss Pout-a-lot who er, pouts a lot. Traits: never say die, but sulks a lot. His actions stem from the purest intentions. The gentleman no one can get close to. A simple soul who finds joy in the living. An old soul in a young body. «YoSD» Sporty Baby Outfit Sets - Hello Doggy - White ◆ SALE! «YoSD» Sporty Baby Outfit Sets - Good Luck Bear - Pink ◆ SALE! «16cm» Playtime Casual Set - Blue Mustache ◆ SALE! 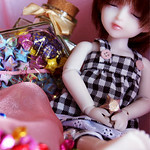 «16cm»» Playtime Casual Set - Pink Sweetheart ◆ SALE! « YoSD » Classic Black Satchel Backpack/Bag ◆ NEW! « YoSD/MSD » Animals Hand Puppets ◆ NEW! 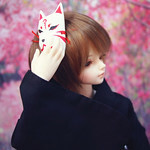 «9-10» Black fur wig ◆ SALE! 【Jar of Eyes】Various Color Glass Eyes! «16mm» Cornflower Blue Glass Eyes 16mm ◆ SALE! «14mm» Clear with Byzantium (Reddish) Purple (Two-Tone) Glass Eyes 14mm ◆ SALE! «14mm» Olive Green with Swirls Pattern Glass Eyes 14mm ◆ SALE! «1/6» Classic Dark Brown T-Bar Mary-Jane Platform Shoes ◆ NEW! «1/6» Sunny Yellow Flower Sandals ◆ NEW! «1/8» Cute Pink Mary-Jane Shoes with Bow ◆ NEW! «1/8» Classic Brown Mary-Jane Shoes ◆ NEW! A NOTE ABOUT CUSTOMER SATISFACTION! • All items will be (1) described as accurately as possible (defects will be declared), (2) checked to be in good condition before shipping, and (3) carefully packed for shipping. Please read the item description carefully before purchase. • Please be reminded that items that are home-made by Galileo (such as outfits under the "Tiramisu" name) may have some slight imperfections or variations between pieces and these are not considered manufacturing defects. • Do note that the color of actual item may be slightly different from images due to different monitor settings. Please keep this in mind when purchasing. • We take all sales seriously and your satisfaction and feedback is important to us. If you have any question, suggestion or feedback about your purchase, please do not hesitate to PM Galileo on DOA or eBay. We'd be more than happy to assist you! Tiramisu is the name under which Galileo sells all her home-made and hand-made BJD items which include, but is not limited to, (1) outfits, (2) accessories, and (3) props. • Please do not use washing machine to wash the outfit! If need, just dip in water and hang to dry. • Please handle outfits with care; do not pull or tug roughly as some parts may be hand-sewn. • Props are usually sealed with gloss or MSC, but for precaution sake, please keep away from water. Frequently asked questions answered here! [Q] Where can I buy from you? [A] We are currently active on eBay and Den of Angel (DOA). You can check out our eBay Store and a list of all current Sales Threads on DOA. A plan to open a store on Etsy is still currently in the works. [Q] Do you accept other payment methods other than Paypal? [A] Unfortunately no. However, if you are from Singapore or have a Singapore bank account, we'll be able to accept local bank transfers. [Q] What are the shipping options? [A] For standard packages, we usually ship by Registered Airmail by default. This comes with basic tracking and takes approximately 14-18 working days for international delivery. 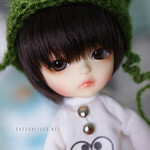 For higher value purchases like doll, you will also be given the option to have it shipped by Speedpost Air or EMS. [Q] How much can I expect shipping to cost? 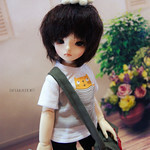 [A] Shipping rates depend on the total quantity and weight of the items and starts from $3.25* for an lighter item (such as one dolly tee or a pair of eyes). You can combine more items in a single package to save on shipping, since they will share the same base registration cost. For example, two pairs of eyes (depending on size) will cost around $3.55 to $3.85 in combined shipping instead of $6.70 for separate mails. The final cost will depend on the total weight of the item(s) itself. [Q] I have asked previously but was given a different shipping rate? [A] All things equal, it is possible for shipping for the same item to vary due to the USD-SGD currency exchange rate. To keep prices current, we usually do a conversion at the point of enquiry, so there may be a slight difference in the shipping rate from time to time. However, the difference is usually minimal, depending on the exchange rate fluctuation. [Q] Do you have a cheaper shipping alternative? [A] You can opt for normal airmail without the mail registration and tracking but we do not recommend this option as there is no way to track your package if it get lost during transit. However, we can make an exception for lower-value packages (total value of less than $3) if you wish to save on shipping. But please note that we will not take responsibility for lost packages if you decide to opt for normal mail. [Q] How will the items be packed? [A] For smaller, standard purchases like eyes or outfits, the items will be sent securely packed in a bubbled envelope or bubbled wrapped in an envelope. Purchases that contain more or bigger items will be sent in a box. [Q] Can you mark it as a gift or under-declare the value? [A] We usually mark packages as "gift" by default but declare the total value of the package rounded down to the nearest dollar. If you wish to under-declare the value by more than a dollar, please inform me but do note that you may not be able to reclaim back the full value of your package if it gets lost during transit. [Q] Do I need extra insurance? [A] We do not require additional insurance but please note that we are not responsible for any loss or damage during transit as this is beyond our control once the package leaves our hands. However, shipping by registered mails in itself is also considered a kind of insurance, since you can trace your package and file a claim in the event the package get lost. [Q] Is custom taxes included in the shipping? [A] The shipping provided does not include custom taxes that your country may impose. The buyer is generally responsible for any custom taxes or fees as we are not familiar with your country's postal regulations and will not be able to advise on any potential fees you may incur. [Q] How can I track my package? Alternatively, you can use Track & Trace to track. Please refer to the FAQ below for more info. [A] Firstly, go to Track & Trace, enter the tracking number and choose the "Track with Options" function. The system will automatically track the package from the SingPost's website. At the left corner, there will be a bar stating "Singapore" with "Select Country" below it. Click on "Select Country" to choose your country, for example, USA. The system will now re-track the package with the selected country's postal tracking system (e.g. USPS for USA). [Q] The tracking does not seem to update. [A] For more efficient tracking, please track the parcel at the country it is currently in. If the parcel has already been marked as "dispatched overseas" on the SingPost website and you're unable to get further updates on this package, please try to track the parcel at your country's postal system website for registered articles (if available), or use the Track & Trace website as mentioned in the earlier FAQ. [Q] It has been more than 18 working days and I have not received my package? [A] The 14-18 working days is just an estimate. The actual time taken for delivery may depend on a variety of factors. For example, custom checks, festive seasons and public holidays can potentially lead to delays. In such cases, please give it a few more days or an additional week or two for delivery. [Q] I think my package might be lost, what should I do? [A] If it has been over 3-4 weeks and you still have not receive your package and the tracking has not been updated, please let us know so that we can help you to raise an enquiry with the Singapore Post after 18 working days from the date of posting. [Q] What should I do if the item was damaged during transit? [A] We usually take care to pack the items carefully in order to minimize the risk of damage, but in the event that the item does arrived damaged, please take some photos of it and contact us immediately so that we can work something out. Your prompt notification and photos of the damaged item will also be helpful if there is a need to file a claim with the post.